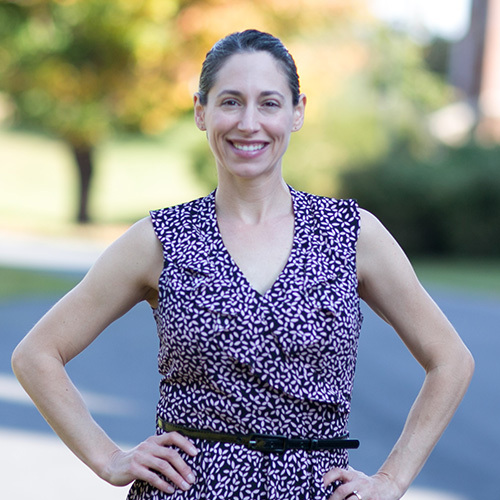 Cara Macdonald joined the faculty of Miller School of Albemarle in 2018 as an adjunct professor of science through Piedmont of Virginia Community College. However, she has been a member of the Miller School community since 2007 when her husband, John, joined the math department. She has volunteered to teach various WWOWW classes ranging from latin dancing to sewing over the years and filled the post of long-term substitute for the science department in the spring of 2018. Cara attended West Virginia University from 1995-2001 where she earned Bachelor of Multidisciplinary Studies and Master of Physical Therapy degrees and participated in varsity collegiate sports as a cheerleader for both the football and basketball teams. She realized a seventeen-year career as a licensed physical therapist punctuated with respites to travel around the world and to raise two daughters, Abigail and Olivia. The Macdonald family is a visible force in this community and is frequently seen enjoying Miller School’s amazing campus and community. At home, Cara enjoys playing games with her family and working on sewing and gardening projects. She is excited to share her passion for the human body and experience in healthcare with her dual enrollment anatomy and physiology students this year.